CNS Canada — A mixed bag for fertilizer prices is expected over the next few months, as some continue to increase while others should drop, according to an analyst. “The fertilizer market has remained pretty firm over the past six months… we had kind of anticipated some declines across all the different nutrients, (but) they’ve held pretty firm. So that’s made fertilizer producers relatively happy and sort of farmers less happier,” said Chris Lawson, head of fertilizer analysis at CRU Group in London, England. 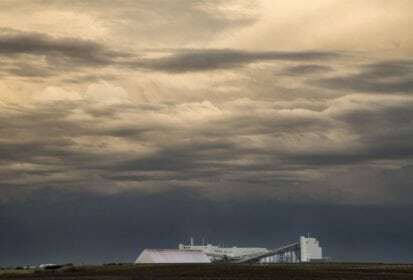 CRU had expected potash prices to drop this year as new capacity came online internationally; however, the capacity has come online slower than expected, according to Lawson. At the main international spot potash market in Brazil, prices are currently around $330 per tonne, having risen about $50 per tonne since the start of the year (all figures US$). International contracts have also impacted the price, according to Lawson. China usually signs its annual contract for potash in the first half of the year, but has yet to sign it due to large inventories in the country. China has “been resisting because prices have been moving higher and they don’t want to pay much for it. So there’s been lots of to-ing and fro-ing between them and the different exporters,” he said. However, Lawson said, China is expected to sign its contract soon. CRU expects the capacity increases to continue to be slow, while demand will stay relatively good, particularly from Brazil, meaning potash prices will continue to rise over the next six months. The urea market has also been on the rise lately. Prices at the main urea exporter market in the Middle East are currently at S$270 per tonne, having increased about $30 per tonne since the start of the year. Prices will continue to rise due to the sanctions against Iran, a major urea exporter. The sanctions “affect the global trade patterns. So they’ll be limited availability from Iran over the next six months, so that should tighten the market up a little bit,” Lawson said. Urea price increases will also find underlying support from China. While China is only a marginal supplier of urea internationally, it still plays into market dynamics. According to Lawson, Chinese supply will be down as costs for urea extraction will increase in China due to higher coal prices. Phosphate prices have also been strong this year. However, Lawson said, CRU expects that to change. Prices at the key phosphate global market in Tampa are currently at $440 per tonne, up from just over $400 per tonne in January. Prices have been on the rise for phosphate due to new capacity coming online slower than expected in Saudi Arabia and Morocco. A plant closure by Mosaic in Florida last year also tightened supplies. Demand from India has also been good, which has supported price increases. “So you’ve had relatively good demand and not as much supply as we had anticipated, and some capacity idling. So we had a much tighter market and that has helped to underpin prices,” Lawson said. The phosphate market should start to soften over the next six months, he said. There is supposed to be more product coming online from Saudi Arabia and Morocco, which should improve margins for producers. There should also be an increase in product from China. “We’re starting to see some demand reductions as well now, particularly in India. So we think that’ll help to bring prices back down as we move into 2019,” Lawson said. There will be a shift in where fertilizer comes from for the North America market, he added. On the nitrogen side, for ammonia and urea, North America will consume more of its own product due to expansions in nitrogen and potash capacity; for phosphates, more product will be imported from Morocco, Russia and Saudi Arabia.